Much has come to pass these last weeks. As (most of you) probably know, the first part of my debut novel is to be released this February by Harper Voyager. If you haven’t heard about this, check out this post explaining it all. Now, things have changed a little since then. In particular, the way the books will be released and titled has changed. 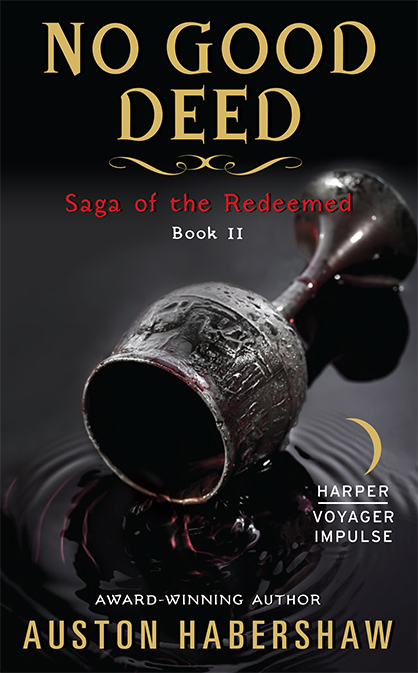 Initially, the first two books in my series (now titled The Saga of the Redeemed) were to be released as The Oldest Trick, Part 1 and The Oldest Trick, Part 2. This is because the first two books are really just two halves of the same book and the publisher wanted to keep the price point low for the initial offering (I assume). Some time later, it was decided that this seemed confusing (two parts to one book that is part one of a longer series? Whhhaaaa? ), so they decided to title them separately and sell them as parts 1 and 2. To this, I pointed out that this might be misleading, since readers would think they were buying a whole story when, in fact, it was only half of one. My editor concurred and Harper agreed, and so now it goes like this: the initial electronic release of the books will have a different title for each part, but they will be marketed as part 1 and 2 of the larger work, The Oldest Trick. Then, when the print release happens (by the way: THERE WILL BE A PRINT RELEASE!! ), they will put part 1 and 2 together into one omnibus with my original title and, likewise, this will be available online. 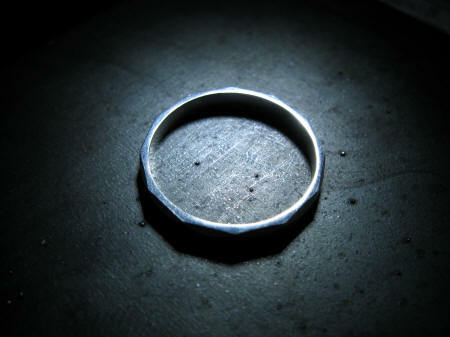 Yes, there is a Magic Ring. No, it isn’t like that Other Magic Ring. Hopefully any confusion will be overcome by the sheer awesomeness of my work. 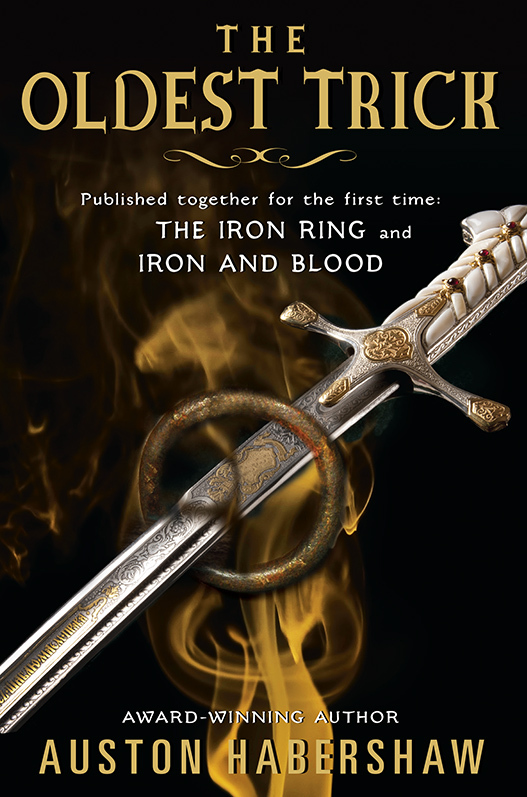 As for the process itself, here’s where I am: I’m waiting for the final copyedit of The Iron Ring and will begin working with my editor on Blood and Iron sometime in the next month. Also within the next month, I will be getting another 1-2 drafts of All That Glitters in the can so that it is at the polishing stage and I can tinker with it until the deadline on May 1st. All of this can happen just as soon as I get clear of my workload for the Fall semester (lousy day job!) and before the workload for the Spring Semester ramps up. So, yeah, a ton of writing and editing needs to happen over the next month. Accordingly, there may very well be another blog hiatus coming up. I will let you know and keep you posted, as doing so makes me imagine that what I’m doing here is of some kind of value to somebody rather than just the protracted ravings of a cubicle-bound narcissist. Posted on December 8, 2014, in Alandar, Critiques, Theories, and Random Thoughts and tagged editing, Harper Voyager, novels, The Iron Ring, The Oldest Trick, The Saga of the Redeemed, writing. Bookmark the permalink. Leave a comment.